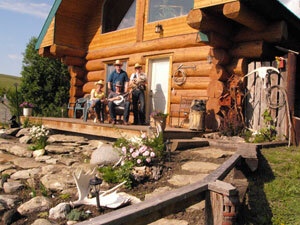 Lucasia Ranch, a family-run historic working cattle and horse ranch, is tucked into the rugged and beautiful Porcupine Hills in southwestern Alberta. 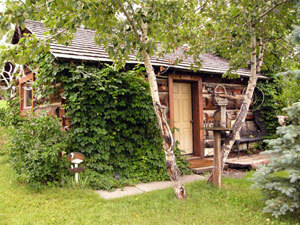 The ranch maintains a set of well-established, ranch buildings some of which date back to the 1800s. 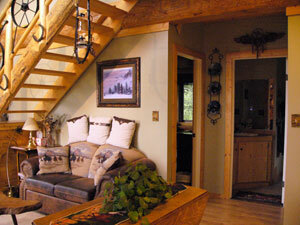 Guests may choose between three accommodation options: a new log guest house, the main ranch house or an historic Pioneer cabin. 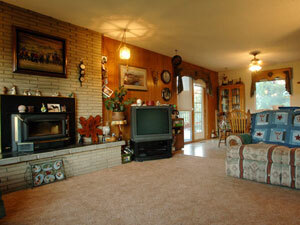 Meals are home-cooked with ranch-raised beef & plenty of vegetables. Desserts are varied, homemade and delicious! Hearty ranch breakfast served. 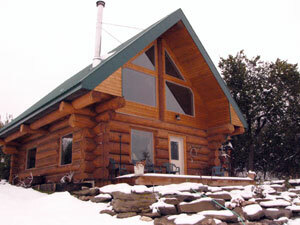 The new, hand-crafted custom-built NEW LOG GUEST CABIN (pictured below) was completed only three years ago. 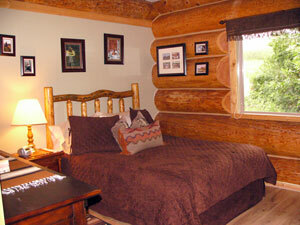 Completely self-contained, this cozy accommodation choice very much reflects Lucasia's western flavour. 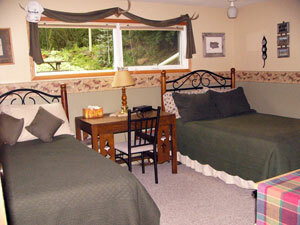 Available in this cabin are two bedrooms with queen-sized beds as well as a loft with a double-sized futon. 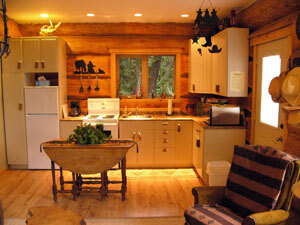 The cabin has a fully equiped kitchen and two bathrooms. 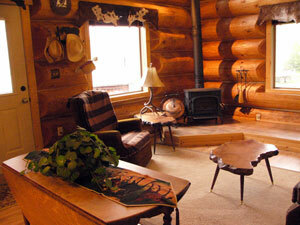 Or guests may choose the rustic life in a turn of the century REFURBISHED PIONEER LOG CABIN. 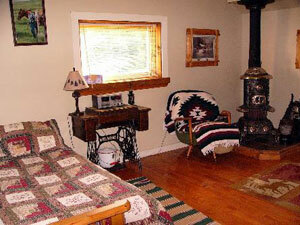 In the MAIN RANCH HOUSE, accommodation includes, two double guestrooms wi/shared bath & sitting room on a private floor. 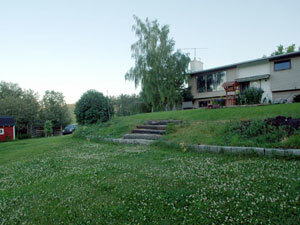 In the evenings at the ranch, relax around the ranch firepit or rest on the spacious deck while you enjoy a spring-fed brook that bubbles through the ranch yard. Brush up on your roping skills or find a seat in the peaceful shade garden; wander through the yard scattered with trees, flowers & birdlife. 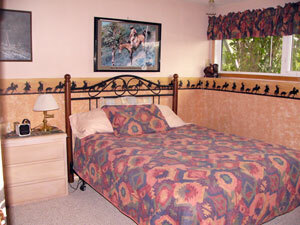 Guest conveniences also include TV, VCR with varied videos/DVDs, high speed satellite internet access, a woodburning fireplace and a horseshoe pit. Please note that while the ranch has high speed Satellite Internet, there is no cell phone coverage.